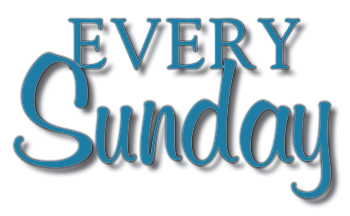 Every Sunday is a daughter’s tribute to her father, the story of a man who lived life with extraordinary kindness and humility. Their Sunday letters stop—after 32 years—when he suffers a stroke and can no longer walk, care for himself, or voice his needs. 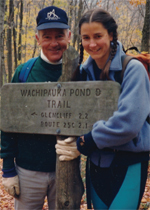 Determined to connect with him and focus on their good memories, she shares stories of Long Trail hikes, Springfield College days, birthday ski adventures, White Mountain summits, childhood moments, and more during Sunday nursing home visits. 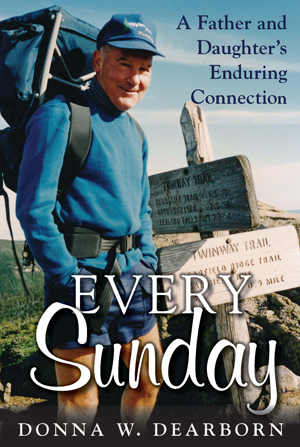 Every Sunday is a memoir about a revered recreation director and an inspirational father-daughter bond—a story of faithfulness, hope, and love. Donna Dearborn grew up in an active family in Brattleboro, Vermont, where her adventurous spirit and love of the outdoors emerged at an early age. Degrees in math, environmental science, biochemistry, and exercise physiology led to a diversity of jobs—algebra and trigonometry teacher, Outward Bound wilderness instructor, English teacher in Korea, fitness director, tennis pro, tax preparer, ski instructor, field hockey coach, New Zealand hut warden… She is happily settled in the familiar, rolling green hills of Vermont with her husband, Wally, and their yellow Labs, Ella and Eva.